very good, where's the parmasan? 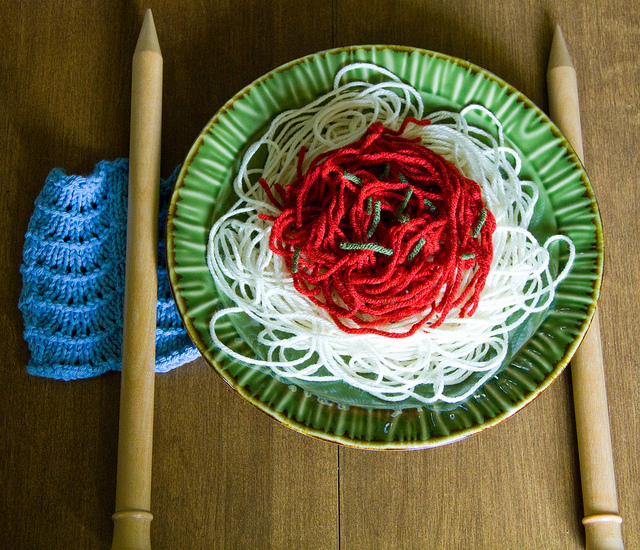 I'll have some yarn with a bottle of wine for dinner, please ! Love the picture, very good idea ! Love your picture. Very creative!